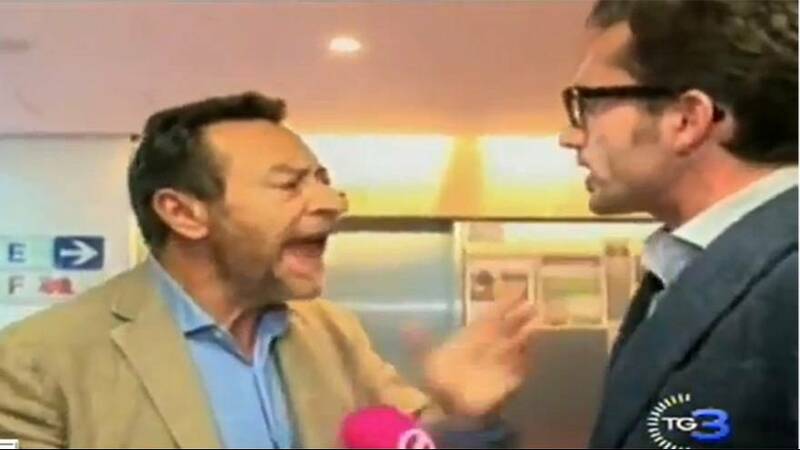 Italian MEP Raffaele Baldassere didn’t take kindly to a reporter from Netherlands’ Geenstijl TV asking him why he had signed the attendance list – to get his 300 euro daily expenses fee – even though he had not taken part in any Parliament proceedings that day. The video of what happened appeared on the internet on June 25. Baldassare was ambushed by the reporter just after he had signed himself on the list at 6.30 PM. The reporter didn’t give up and he continued questioning the Italian lawmaker, asking him how he could sign the list at 6:30 PM, and collect 300 euros, even though he didn’t have any expenses that day, because he hadn’t worked. The MEP continue to play the innocent, but the TV journalist wasn’t going to let him off the hook. He continued: “That’s very easy, if it’s getting difficult, you don’t understand.” When Baldassare ignored him and walked away pulling his suitcase, the reporter started to bombard him with sarcastic remarks: “I like that job, I want that job.” The MEP responded calmly, in Italian: “Non capisco” (I don’t understand). As the scuffle became more heated another man stepped in, and pushed the reporter further away, but the angry MEP carried on towards him and hit his microphone several times, all the time speaking in Italian and gesticulated. Once he almost manage to tear the microphone from the reporter’s hand. Eventually everyone calmed down, the MEP left in the elevator. The salary of MEPs and the misuse of daily fees was the subject of coverage, in 2011. Germany’s RTL television reported on how their journalist was thrown out of the European Parliament, because he filmed how MEPs came to the office to sign the attendance list before leaving for home. A number of them ran away when they saw his camera. Several MEPs had not attended meetings and didn’t vote on the days, but did claim the attendance allowance.